Red wine has been shown to have a positive effect on health and the high rate of wine consumption in France is often used to explain the seeming paradox that the French have a lower rate of heart disease than we do even though they eat a diet high in animal fats. I think they are healthier because of the butter and duck fat, not in spite of it, but the resveratrol in the wine probably doesn’t hurt. Place the sliced fruit in a pitcher and crush lightly with a wooden spoon. Add the wine, Grand Marnier, and sweetener, and chill for 3 to 4 hours. Stir and add the sparkling water. Serve over ice. Wines that have the highest resveratrol content come from cooler areas that are subject to greater disease pressure, such as Pinot Noirs from the Burgandy region in France. Wines from hot, dry regions, such as California and Australia, usually have less. Cinco de Maya, Fruit and Wine Punch. Bookmark. 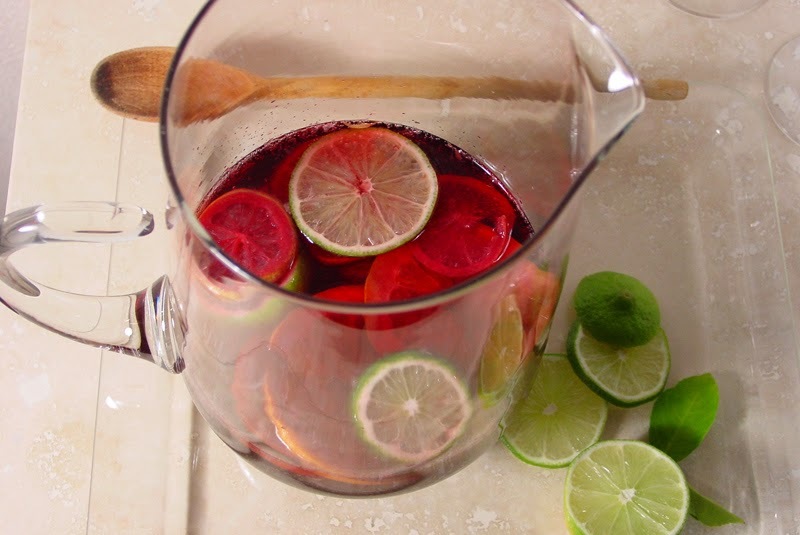 Pinned your sangria recipe and ordered your Carb Wars: Sugar is the New Fat book! Can't wait till it arrives! Hi Lin and thanks! Hope you enjoy the book.